Beautiful Modern RIBBON Pierre Paulin DESIGN Lounge CHAIR - Artifort Ribbon Chair by Pierre Paulin upholstered in the original classic upholstery from 1967: "Momentum Blue Flame". This awe-inspiring modern fabric was designed by Jack Lenor Larsen in 1967 and is still available. This exceptional fabric lends an extra dimension to Pierre Paulin's seating sculptures. 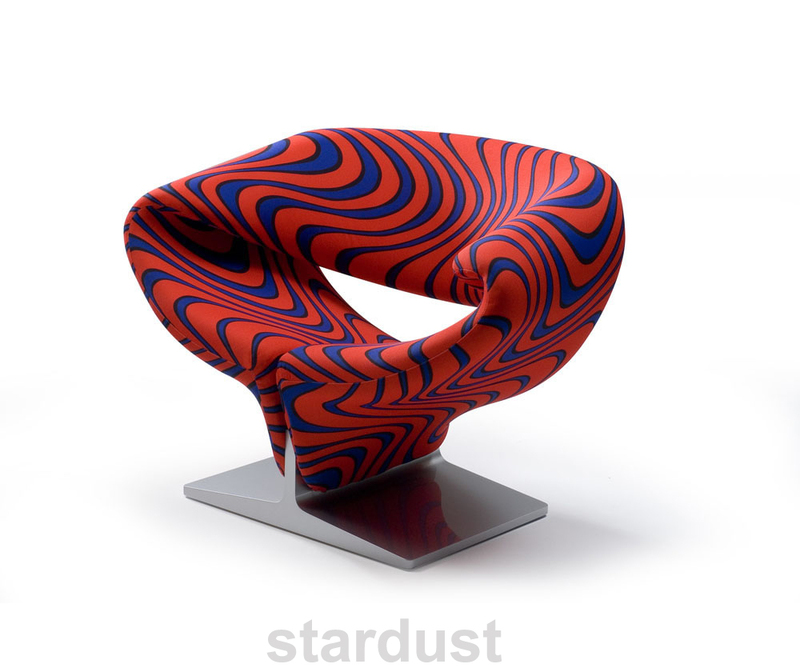 It was Pierre Paulin's preferred upholstery for the Ribbon Chair and it is a Stardust Staff Pick as well. Beautiful Modern RIBBON Pierre Paulin Lounge CHAIR - The Artifort Ribbon lounge chair is one of the most beautiful sculptural design chairs in our collection. 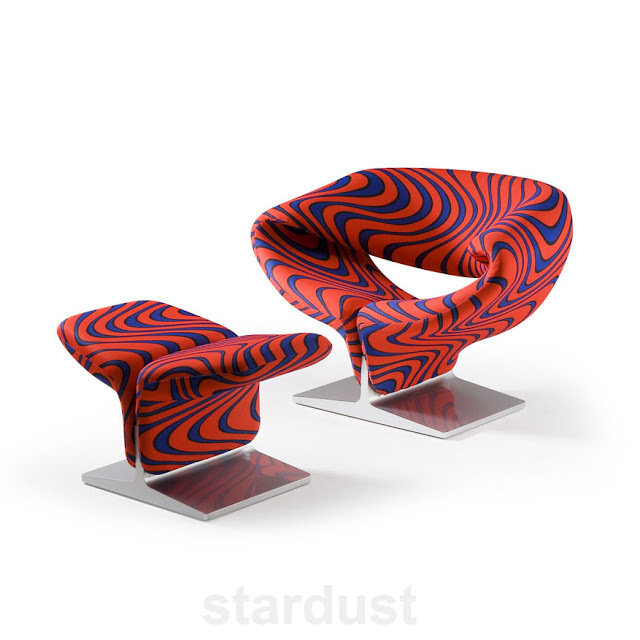 This historically significant modern design icon was created by Dutch designer Pierre Paulin for Artifort in 1966. 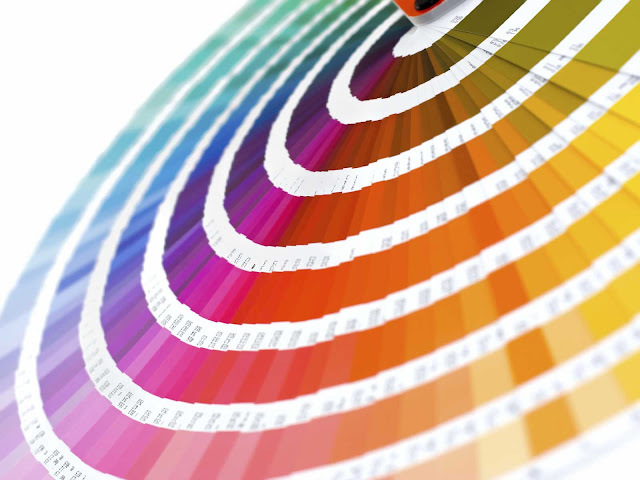 The Ribbon Chair continues to be made by Artifort in the Netherlands. The sculptural Ribbon Chair is one of the essential classics in the history of modern furniture design. Pierre Paulin was trained as a sculptor in Paris and used his own vision to create free-flowing chairs that transcend modernist sculptures. 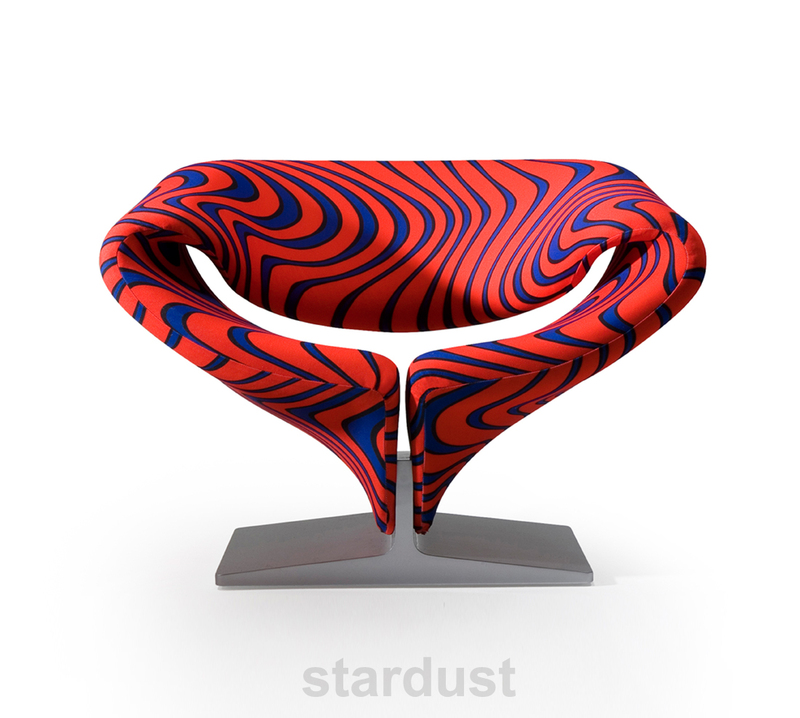 His Ribbon Chair is a beautiful example of applied art that complements any collection. 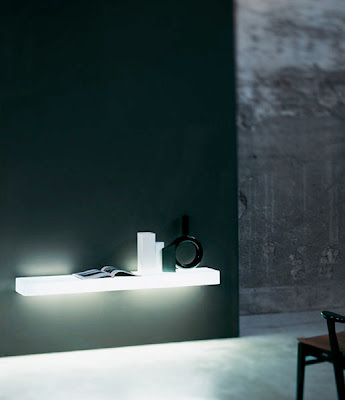 The Ribbon is a clean, simple ergonomic space age form sculpted to fit the body. This beautiful modern chair can be used as a chaise lounge or accent chair in the living room or bedroom. It looks equally stunning in an office environment. 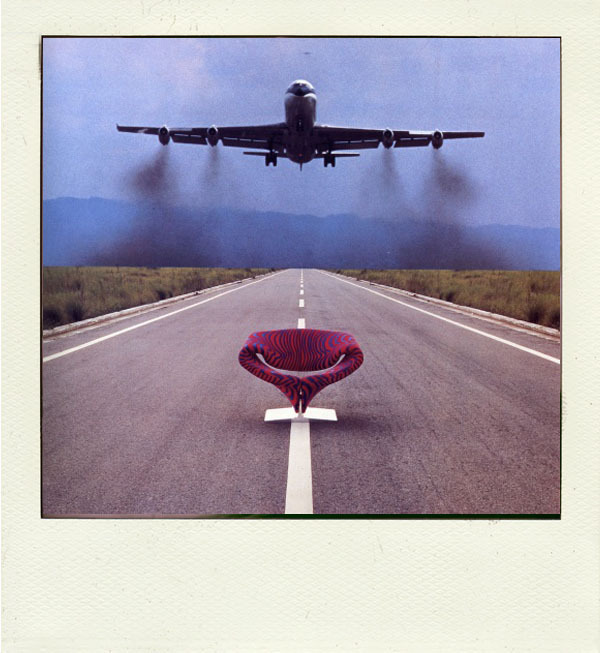 The Pierre Paulin Ribbon chair is made from a metal frame with horizontal springs, covered with foam and stretch fabric and a lacquered pressed wood pedestal. An optional Ribbon Ottoman is sold separately. The lacquered pressed wooden base is available in several RAL color options: white, black, red, light grey or silver grey.